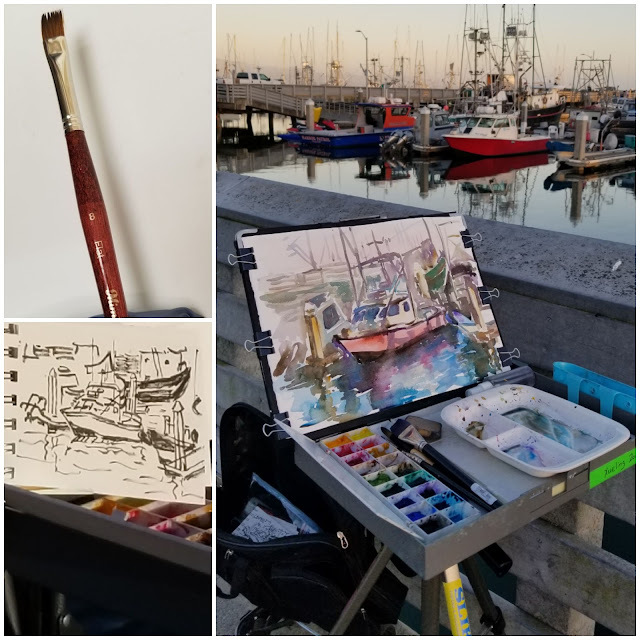 I just received my new brush I ordered fromhttp://www.jerrysartarama.com.Felt excited to try it, and came back to Pillar Point Harbor, Half Moon Bay. It was a warm day, not too windy. I didn't like my last boat painting. but the old rusty fishing boat wasn't parked at the position so I couldn't easily see it. Well, many other boats I could paint were here. Dinner time, there was a clever seal swimming around waiting for food he could get from fishermen. Unfortunately the hairs of my new brush (made in Germany) was immediately spread apart on my first stroke. I didn't have time to feel disappointment, the sun started setting down, the temperature was dropping dramatically that I felt cold. 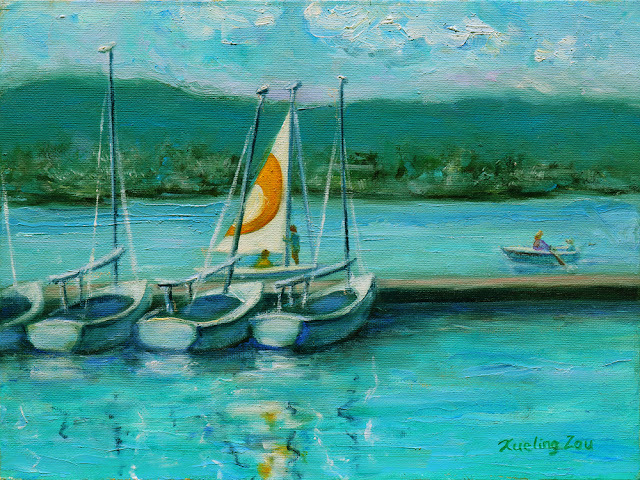 The reflection of the boats was so beautiful, but I knew that I had to continue painting, no time for a photo. I am happy with today's result, loose not stiff, that is the way I like. I guess I have to painting during limited time period.